If you're in the same boat, I'll tell you the same thing I tell my friends – stop faffing about and do it already. You're missing out if you don't. 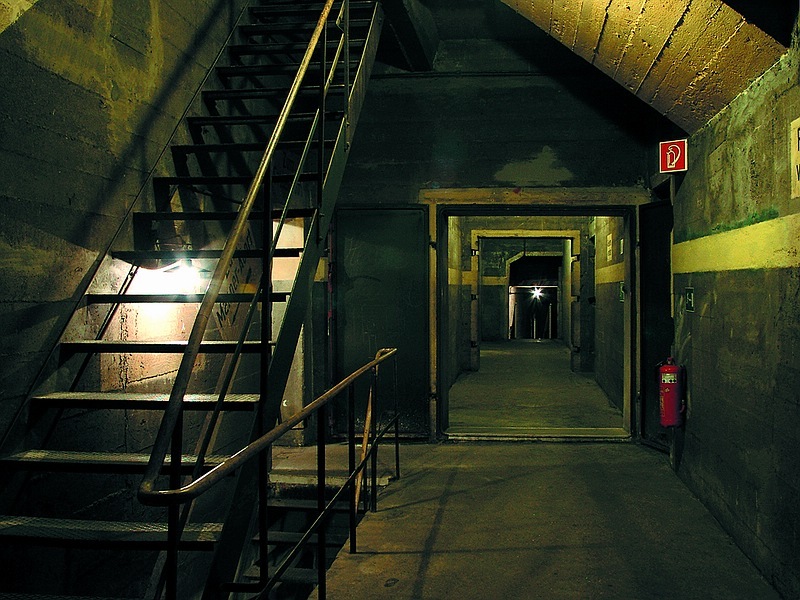 Established in 1997, the primary aim of Berliner Unterwelten is to explore and document the city's underground architecture and make it accessible to the public. 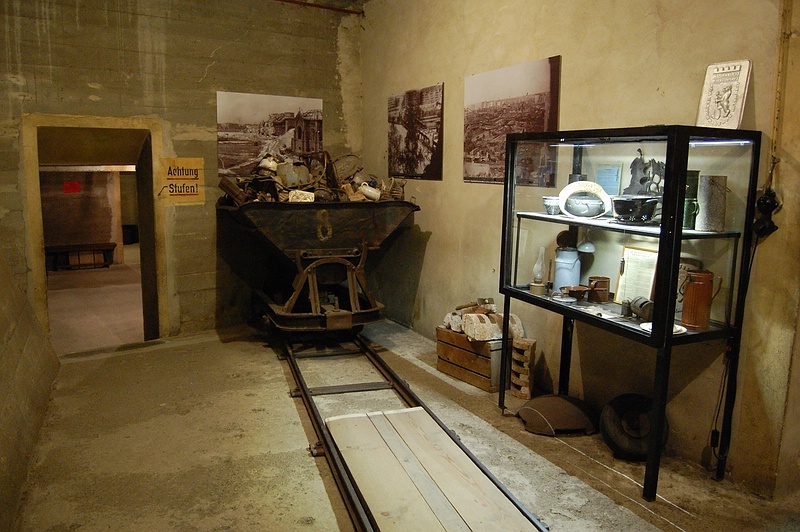 Underground buildings include caverns, air raid shelters, disused railway tunnels, derelict brewery vaults and other places the public normally has no access to. A range of tours are available in several different languages, including German, English, Spanish, French, Italian, and Dutch. To say that this association is something of a phenomenon is an understatement - in its first year, B.U. had 3,000 visitors; last year, it passed the 300,000 mark. On Thursday, they added one more to this number – me. 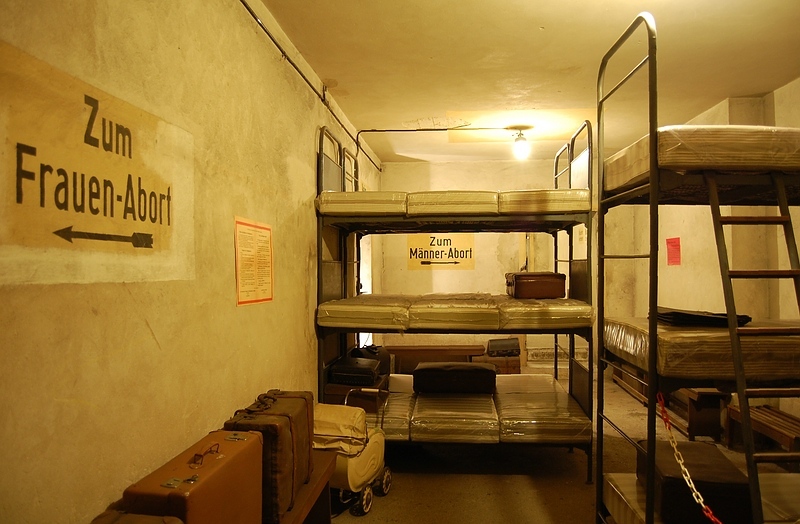 I had previously taken part in the fascinating Tour M, Under the Berlin Wall, which tells the stories of the Germans’ ingenuity in finding ways to escape East Germany by going under the Wall. And although everyone knows about the Berlin Wall, this tour really hammered home the human aspect of it. We learned of the successes and the failures, the tales of true love, and the sheer bravery and spirit of these people that just would not be kept down. 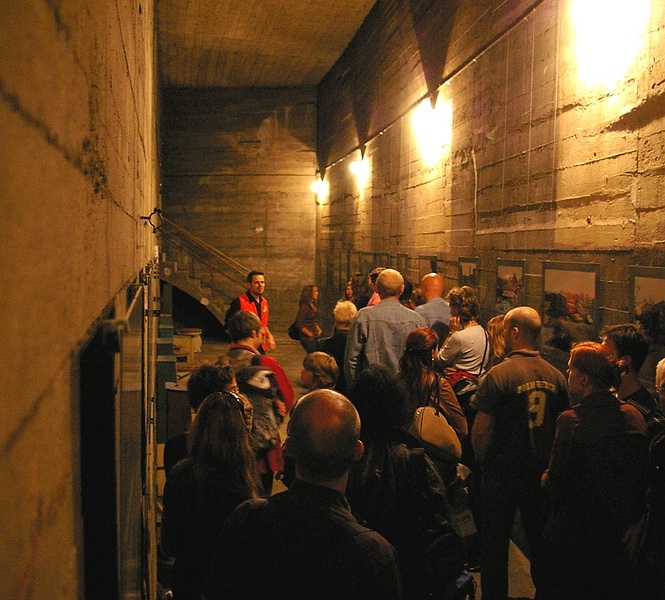 This time I opted for Tour 1, which aims to give visitors an idea of what it was like to shelter in a bunker while your city was being bombed to bits above your head. It definitely succeeds in this. Our tour guide was the charming Sanne from the Netherlands, who brought the experience to life for the 24 people in our group. These came from countries as diverse as Iceland, Korea and Canada. 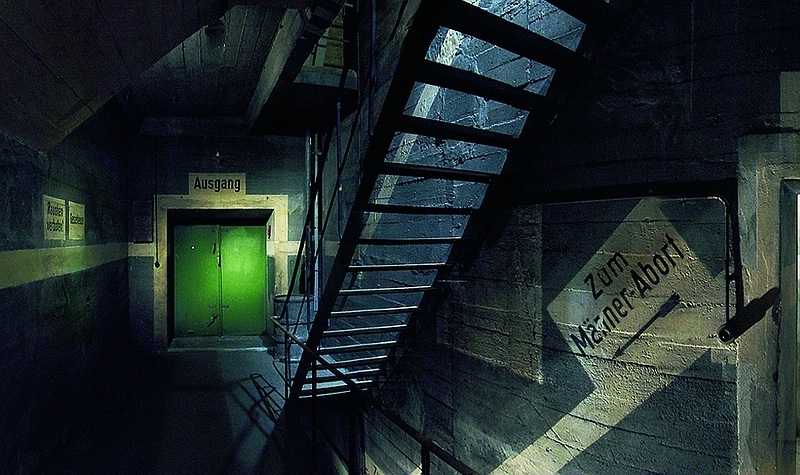 Walking through an unremarkable door in Gesundbrunnen station, we were suddenly transported into another world. We stood in a room designed to hold 20 people, which in reality probably held around 60 to 70. Drawing on what Berliner Unterwelten has learned from the air raid shelter at Alexanderplatz, Sanne explained how they would light three candles – one at ground level, one at bench level, and one at hip height. When the ground level candle went out, you knew that the room was running low on oxygen, but things weren't that serious yet. When the second candle went out, you might start to get a little nervous. When the third candle went out... well, you can imagine. I certainly could. The problem was that the rooms were designed for a certain number of people to be there for a certain amount of time. However, as the war progressed, techniques became more sophisticated and the city was bombed in waves. So an air raid that took 15-20 minutes originally could now last for up to an hour with four waves of bombs being dropped overhead, and oxygen running out below ground. When you did finally emerge from the bunker, there was a good chance your house didn't exist any more as up to 80% of the city centre was destroyed by the end of the war. During the course of the 90-minute tour, we saw unique photos and posters, weapons and bombs, the fluorescent paint that kept people from panicking in what would otherwise have been total darkness, and countless other artefacts that had been buried for decades. Near the end of the tour, we were treated to a demonstration of the pneumatic dispatch system which could send objects at speeds of up to 60 miles an hour. The tour was so interesting that, in the end, it was a bit of a surprise to learn that an hour and a half had passed so quickly. Emerging into the bright sunlight, a nice way to round off the tour is to take a stroll through nearby Humboldthain Park. Much of the rubble from the bombings was piled around the flak towers during the rebuilding of Berlin. Take a walk up the hill to enjoy the views from the top of the tower, all the while knowing that beneath the trees, grass and well-maintained footpaths lies the history of this city we call home. 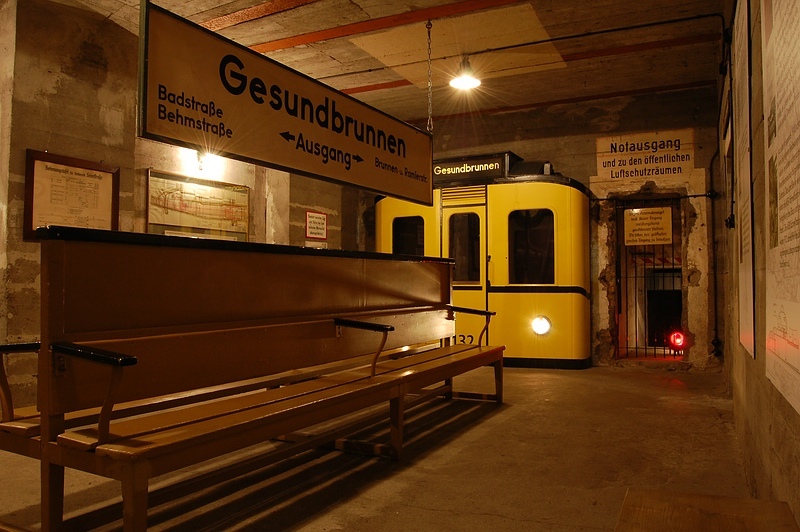 Images: © Berliner Unterwelten e.V.